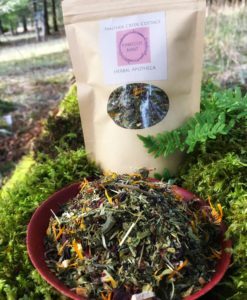 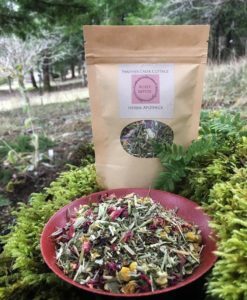 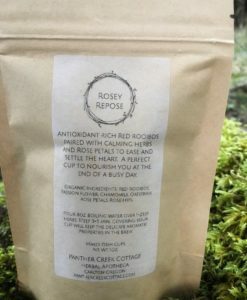 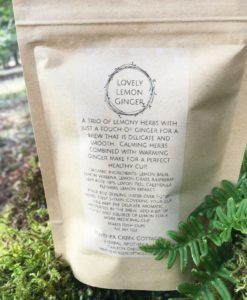 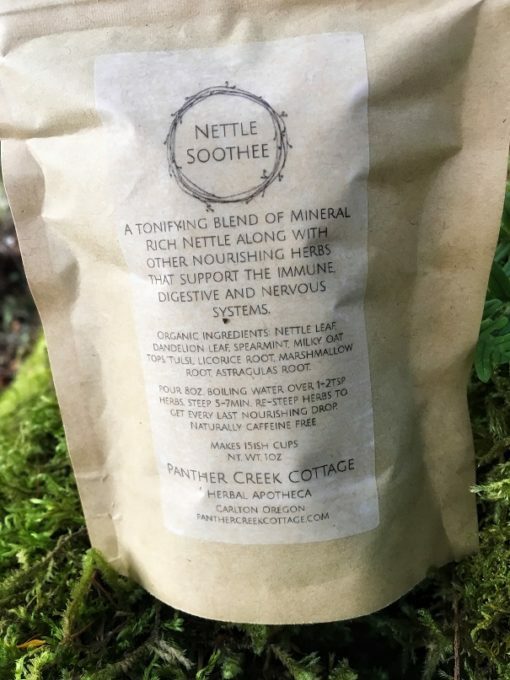 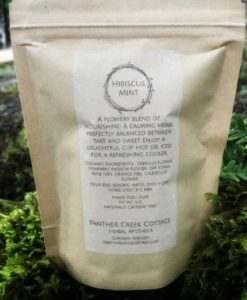 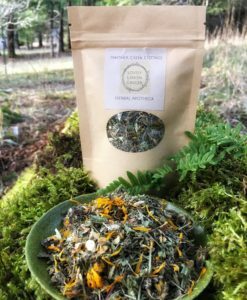 Nettle Soothee is a deeply nourishing blend of adaptogenic and mineral rich organic herbs that support the immune, digestive and nervous systems. 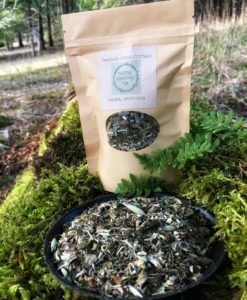 Nettle & Dandelion are naturally high in magnesium, calcium and iron. 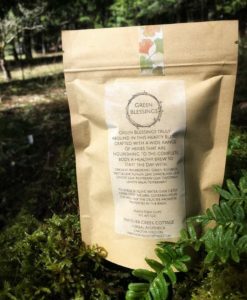 Marshmallow Root and Milky Oat Tops help to moisten dry inflamed tissues. 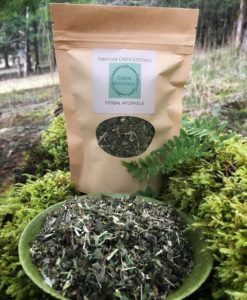 Licorice root is anti-mucous, soothing for the throat, and helps to balance blood sugar levels. 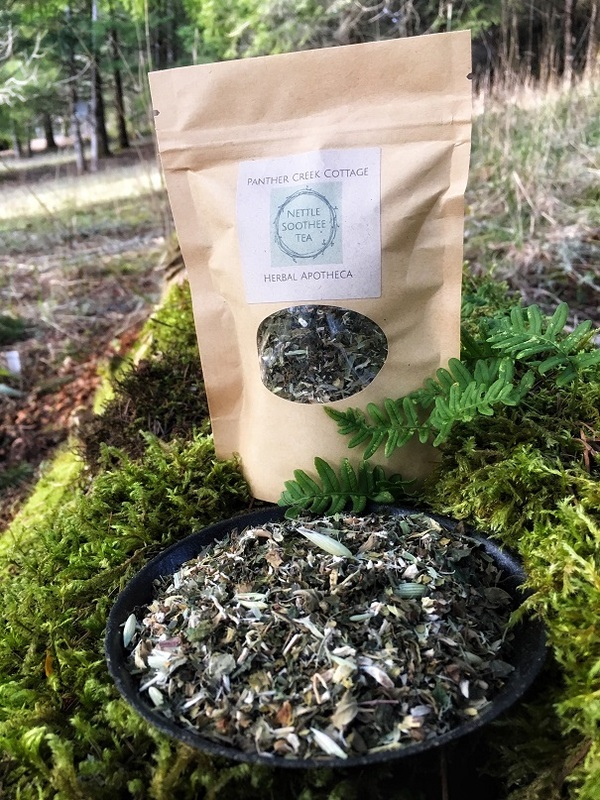 Astragalus root has been used for thousands of years in strengthening the immune system. Adaptogenic herbs help to build and restore overall health to the body. 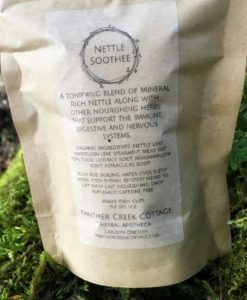 Nettle Soothee is tonic like in that a daily cup supports healthy body function.